I Want A Plus Size 4x Crop Top!!! My personal favorite, my color and a generous 4X and cut a little looser than some. I have been seeing crop tops everywhere lately and loving them, and now I have to have one. But I carry a lot of weight in my torso, I am 65 and not very many crop tops come in a generous size 4X plus size crop top. So I went on a search to see what is out there and I was happily surprised. 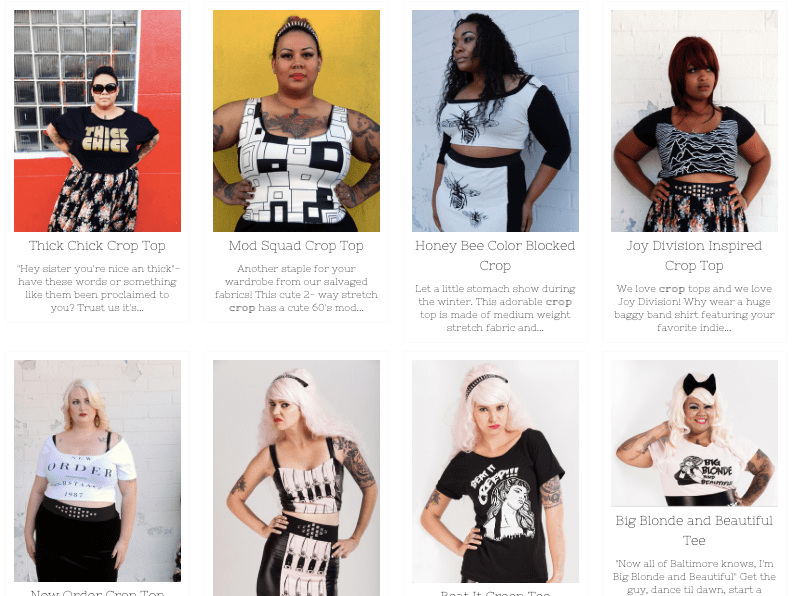 You can choose most of these tops in a 4x crop top or longer version, Very Fun and Edgy. They have 15 crop tops, some graphic tees and some basic colors. They only have a couple of crop tops in stock at the moment. Their U.S. Size 22 is equivalent to a generous 4X in my opinion. 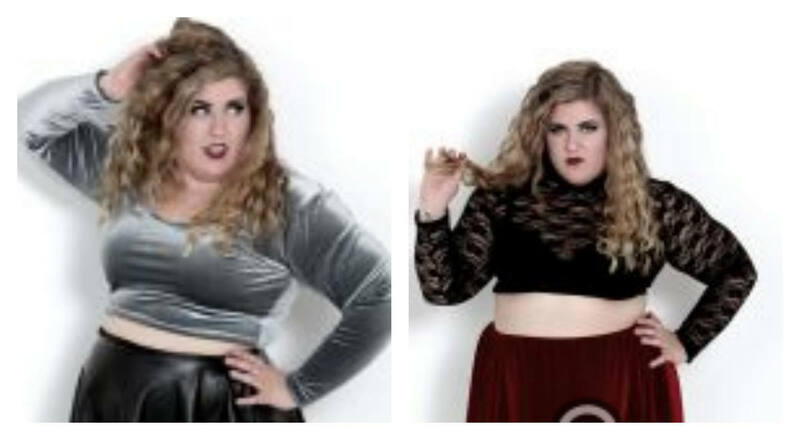 And Torrid has added some crop tops for 2015, in a size 4 (which is what I wear Size 26/26) size 5 and size 6. How Do I Wear a Crop Top? Several pieces of advice popped up over and over again when I was reading about how to wear a crop top! Wear a t-shirt of some sort or something sheer if the crop top is just TOO revealing for your comfort. 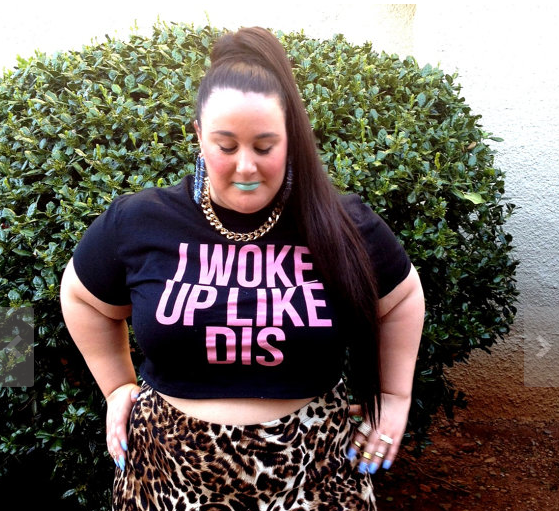 And here is a well written post on How to Wear a Crop Top! This entry was posted in ASOS Curve, Domino Dollhouse, Evans and tagged Chubby Cartwheel, Custom Plus, Jibri, Plus Size Crop Tops, ReadytoStare by affatshionista. Bookmark the permalink. I want a crop top too!!!! Im thinking about making a long jersey skirt to go with it.. I hate it when things are tight around my belly but yay!!! Hi! 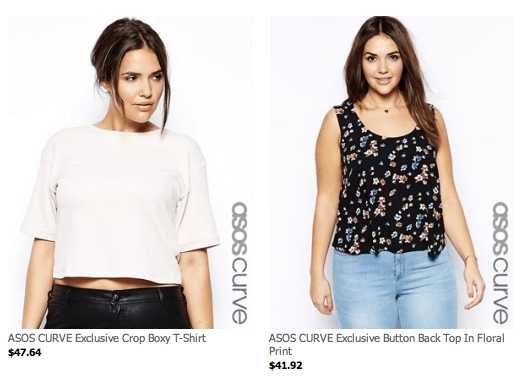 You stated in this post that you feel that Asos sizing is generously larger than listed. I ordered shoes from them a few weeks back and ended up sending them back because they were WAY too big, I had to go down a size. Haha. Anyways, have you tried their pants? I have a size 26 bum, and wanted to see if I could fit their leggings. Some of them are super cute. Thank you for your time. No, I am sorry I have never tried their pants or leggings. I have a very large waist compared to the rest of me so I have not thought that anything fitted would work, and I have not needed leggings, I don’t wear all the ones I have in my drawer already. The have a generous return policy so you might try them and just return them if they do not work out. I would love to hear if they worked for you. Thanks for commenting. This photo is EVERYTHINGGGGG! I love it! Wish I could pull it off. Thank you for sharing. I’ve stayed away from crop tops because I just don’t know how to pull them off but this post was super helpful – thanks! Yes! I love the return of the crop top! I used to wear them constantly in the late 90’s, and I’m so glad to see them back. I love how the new version is very wearable… we used to wear them teeny tiny with baggy jeans sagged down so a lot of your belly showed. These loose ones worn with high waisted pants and skirts are so cute and fresh! And a lot more wearable for different sizes and ages too. Now that I’m in my 30’s I probably wouldn’t run around with my whole stomach showing for a casual day out.